This is awarded by the European Association of Palliative Care every two years at the World Research Congress in Palliative Care. It recognises and supports the work of scientists and clinicians across the world who make an outstanding contribution to palliative care research. Anna will give a plenary lecture entitled, So Palliative Care Works: What now? Achieving the Routine Integration of Palliative Care in Clinical Practice. This is to be given on Friday 25 May in the main auditorium at the Kursaal Berne, 10th EAPC World Research Congress. "Based upon a series of studies conducted in Australia as part of my PhD, this talk addresses how we can improve the quality of care for those with serious illness through achieving the routine integration of palliative care in clinical practice. It addresses current barriers to quality care, when to introduce palliative care in routine care, and how to talk about palliative care with both patients facing serious illness and with community." 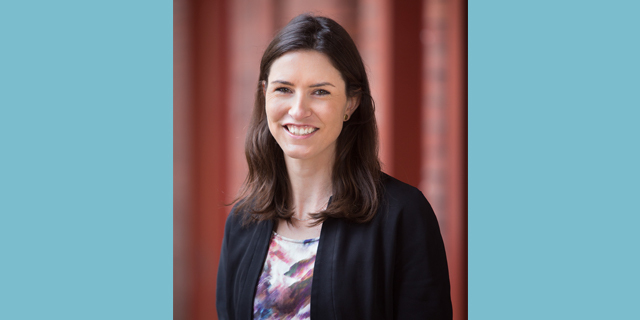 Anna is a Research Fellow within the VCCC Palliative Medicine Research Group led by Chair of Palliative Medicine, Prof Jennifer Philip, in the Department of Medicine, St Vincent’s Hospital Melbourne, University of Melbourne.